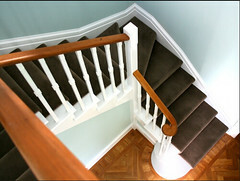 This all-timber staircase in Toorak consists ofthree-flights with traditional cut-strings to the outer side of the flights and scotia moulding to the underside of the tread nosings. 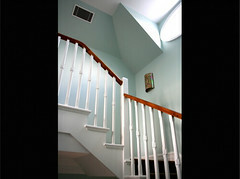 The upper floor void curves around to finishes directly above the first flight. 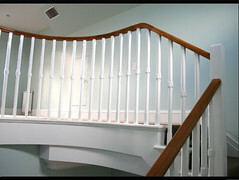 The handrail on the void launching from a handcrafted continuous handrail ramp at the juncture of the top flight and upper floor. 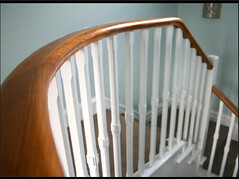 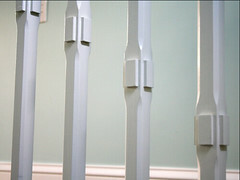 The custom made balusters have a custom chamfer to their margins with a raised strip at the centre of each face. 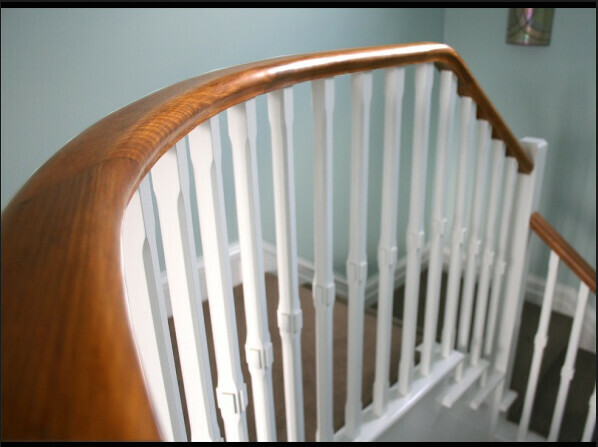 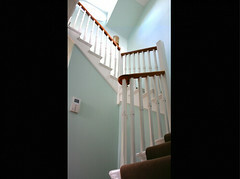 The elements of this staircase give you an artisan take on a somewhat traditional design. Specifications: Closed stair, Closed wall strings, Cut outer strings, Treads and risers with Projection to front and outer string. The Material used are: Strings ex 38mm Pine; Treads ex 38mm American Oak, Handrails ex 50mm American Oak.